The SBA Buffalo District Office and Buffalo Niagara SCORE are excited to offer small businesses the opportunity to meet with buyers from federal, state, and local agencies and prime contractors looking for qualified firms to buy the products and services they need to fulfill procurements. The Small Business Matchmaker is scheduled for Wednesday May 8th, 2019 from 8:00 AM to 12:30 PM. Please click the website link below for more information. Please click the website link below for more information on pre-matchmaker training webinars being offered by the SBA on Wednesday April 10th, 2019 and Tuesday April 23rd, 2019. The US Small Business Administration Buffalo District Office is hosting an OSHA Update Seminar on Tuesday, April 23, 2019 from 9am to 12pm at 130 South Elmwood Avenue Suite 423. Please click the website link below for more information or to register for the event. Applications are now available for the 2019 Amherst Garden Walk that is scheduled for July 6 from 10 AM to 4 PM. Please click the website link for an online application. Applications must be submitted no later than June 16. 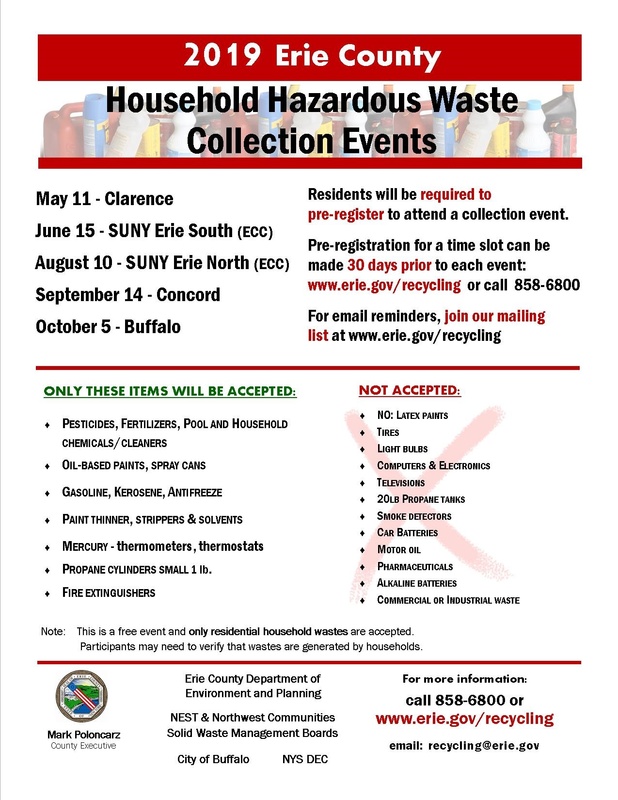 The SBA Buffalo District Newsletter - March 2019 Edition is now available. Please click the website link below to view the newsletter. Please be advised that Old Home Days will be taking place a week later than usual in 2019. The four day festival featuring rides, games, and live music is scheduled to run from Tuesday July 16th through Friday July 19th, 2019. Track Us announcements date back to 2015. Please select a year below to view all announcements from that year. Please enter a search term(s) to find active or inactive Track Us postings.